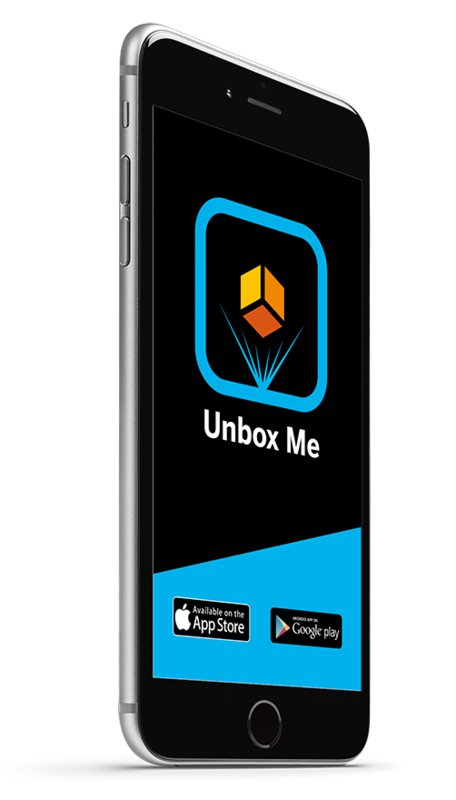 Unbox Me is an app that enables you to scan a QR code on a product packaging and discover some hidden gems in augmented reality: extra features of the product, a movie, a safety message, a pre-teasing virtual experience, and more. Take a look at the projects below to see what we have accomplished so far with Unbox Me! Any good CIO should have a mix of passion and technology skills – coding being one of them. To target the IT audience of our client SAP BeLux, we thought of a play on words associated with coding and by extension, problem-solving: Unlock your IT potential. 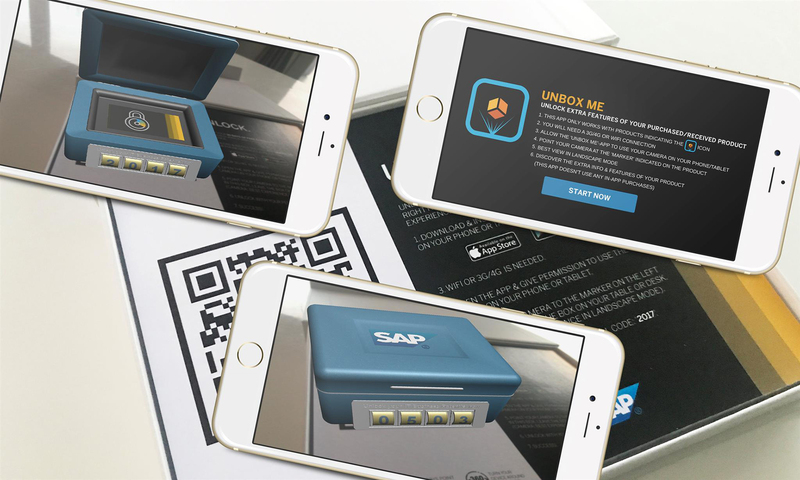 We prepared a white box to be sent out to CIOs where we slipped a letter in A4 format with the SAP logo, a giant QR code, and a list of instructions that explained clearly how to crack open the safe. Upon opening the safe, a video would pop up, giving details about an amazing offer that no CIO could refuse. All reptile lovers among us know how delicate those little creatures are. That’s why for our client Exo Terra, we thought up an original way to:communicate all the necessary info reptile owners need to know when buying products for their pet. 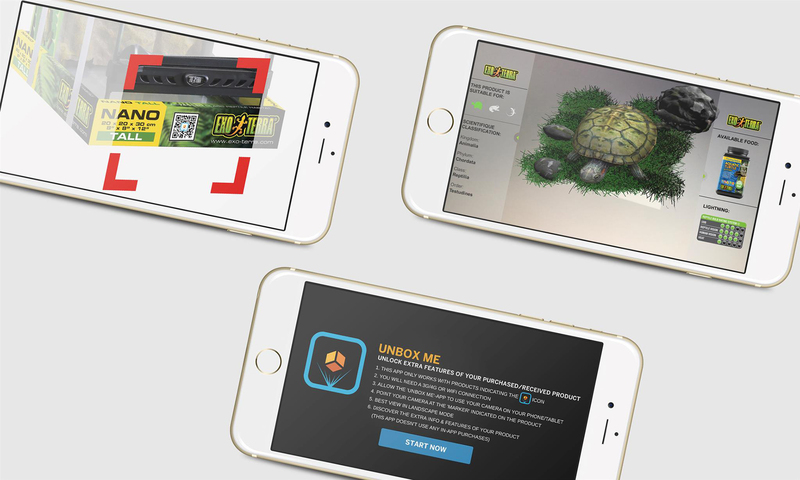 We adapted our Unbox Me app to display the most relevant product information in a way that makes it clear to the buyer whether the product is suitable for their reptile or not. By simply scanning the QR code located on the packaging with their Smartphone, reptile owners can see in Augmented Reality which animal the product is meant for, along with technical information and related products. Ever dreamed of growing your own Christmas tree, minus the needles? For our client Primoris, specialised in the analysis of pesticide residue and contaminants in the agri-food industry, our graphic to:commers designed a Christmas card like no other, which Primoris will send to their clients. On one side of the card, the reader can see a patch of grass with a hole in it; on the other, the catchphrase “Grow your own x-mas tree”. 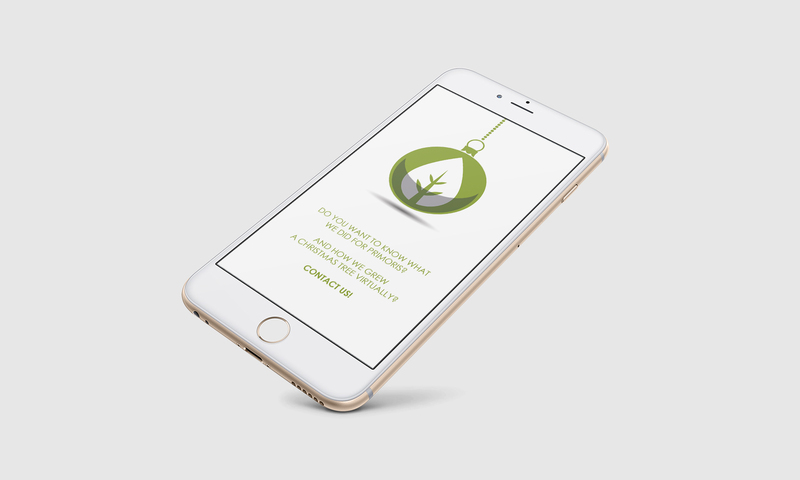 By simply looking at the picture through the Unbox Me app, the reader can see the Christmas tree growing from the hole, with fruit and veggies hanging from the branches – a hint to Primoris’ activities. The final touch – a garland of Christmas greetings in different languages! Curious to know how you can surprise your customers through AR? Click the button below and get in touch with us.